I met Mike a little over a year ago at a one day writers’ conference. I had the pleasure of having fifteen minutes one-on-one with him to pick his brain about writing. I found him very kind, helpful and encouraging. I purchased every book that he had written and for sale in the bookstore that day. I have to confess that I haven’t read them all, yet, but I love what I have read, and definitely look forward to reading the rest. Mike has a new book coming out on June 1, 2015 — Centralia. I suggest that you don’t miss it. 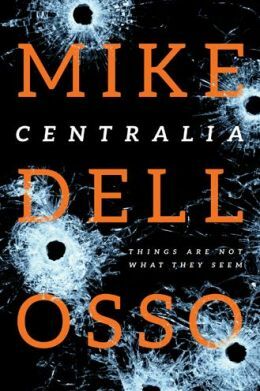 I recently had the privilege of interviewing him for this post, so sit back, relax, and get to know author, Mike Dellosso. Me: What inspired you to become a writer? Mike: My brother-in-law’s motorcycle accident. I’d always hated writing. All through school, writing just wasn’t my thing. When Darrell wound up in a coma and near death I turned to the only outlet I could think of: I grabbed a pad of paper and pen and began to write my feelings and emotions, what I was struggling with, fears, doubts, anger. I fell in love with writing then and haven’t stopped since. That was 1998. Darrell is fine now and he and my sister have four kids. Me: How did you decide what genre to write? Mike: I’ve always enjoyed thrillers, especially with a supernatural twist. Alfred Hitchcock, Twilight Zone, X-files . . . fan of it all. So when I started writing it was a natural genre for me to fall into. Also, I kind of cut my Christian fiction teeth on Frank Peretti and Ted Dekker. Me: How did you learn to write books? Mike: I’m mostly self-taught. I didn’t go to school for writing or anything like that. Once I got into writing I began reading A LOT and reading to learn. I studied the way novelists created characters, wrote dialogue, handled action scenes and pacing and plotting. I read “how-to” books as well, did research online. Anything I could do to learn the craft. And I also wrote A LOT. Practice, practice, practice. I have whole novels that will never see the light of day. They were practice for the real deal. Me: How many books have you had published so far? Mike: Counting my newest, CENTRALIA, I’ve published eight full-length novels and one novella. I’m working on number nine. My other full-length novels are THE HUNTED, SCREAM, DARLINGTON WOODS, DARKNESS FOLLOWS, FRANTIC, FEARLESS, and A THOUSAND SLEEPLESS NIGHTS (written as Michael King). The novella is REARVIEW, a part of the 7 HOURS series. Me: How long does it take you to complete a book? Mike: Generally speaking, the first draft takes me about four to five months, then there’s a month or so of subsequent drafts. All in all, it’s a good six to seven months. And when I’m really going I write seven days a week. Me: Do you write everyday, and if so, for how many hours or do you set a word quota to reach each day? Mike: When I’m working on the first draft and life isn’t all that crazy, yes, I write everyday, usually about an hour a day. If I can get a day where I can get more than an hour I jump at the opportunity. Me: Are you a plotter or a pantser? Mike: Both, I guess. I begin with a basic plot in my mind and I know where I’m going to start and where I’m going to finish. Then, I work one to two chapters ahead in my mind so I can keep the plotting going that way. I don’t outline, though, and don’t do extensive plotting. It’s basically whatever I can think about and remember from day to day. Me: Have you ever had writer’s block, and if you have, how did you get through it? Mike: Yes. Some say there’s no such thing as writer’s block but it is real. I know that beast firsthand. When life is hectic and you have a full-time job and family stuff and church stuff and “other” stuff going on it’s tough sometimes to focus on the book. Distractions work their way in and you lose touch with the story, you lose your groove or inspiration. Usually, I let things rest. I release the pressure of having to write, of having to keep up with my schedule and just separate myself some from the story. That usually does the job. 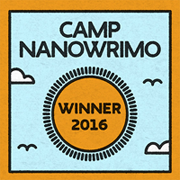 Me: Have your ever participated in NaNoWriMo? Why or why not? If you have, what did you think of the experience? Mike: I haven’t. I don’t need that kind of pressure. I have enough pressure as it is and need to write with as little as possible. I really don’t want to invite more pressure. Me: Where did you get the idea to create the Darlington Society where you connect with your readers and allow them to be participants in your work? Do you find this effective? Mike: First, yes, it’s very effective. For them and me. The Society has become an entity in and of itself, so much more than I’d ever envisioned.The folks in it are great, they’re interactive, they care about each other. They’ve blessed me in so many ways I can’t even count them all. I came up with the idea as a way of getting a core group of readers to support my efforts and lift me up in prayer. They’ve done so much more than that. They’re really incredible. Me: Have you ever done book signings and, if so, has it been a positive experience? Mike: For me, not a very positive experience. I’ve found that multi-author signings work a lot better than solo ones. And I’ve also learned to take my wife and one or more of my daughters. Family relaxes things and my wife is very outgoing and extroverted. She helps draw people in. Solo signings are lessons in humility. I don’t have a household name so people usually steer clear of my table and try their best to avoid eye contact. I spend a lot of time counting passersby. Me: What do you consider the most important writing resource? Mike: A writer’s mind and the discipline of observation. Seriously. Imagination is lacking these days. We have so much technology at our fingertips that there’s no need for imagination. But imagination is like a muscle, the more you work it the better and stronger it gets. And observation is a discipline every writer needs to hone. We’re so busy, so distracted, so preoccupied we don’t see what’s going on around us. Fiction writers say “tell the truth” and the truth is right there in front of us everyday. We just need to see it. Me: Do you continue to study the writing craft? Mike: I do by reading and studying how the masters do it, those writers who write what I write and do it well. I also read other genres and study how they do it. Learning from those who do it well is the best way to learn. Me: What would you consider the most important advice that you could offer to new writers? Mike: Write and don’t give up. Read great writers. Be aware of your surroundings and observe. But mostly, don’t give up. 100% of published authors didn’t give up. That’s a fact. Me: Now, changing the focus from writing, to your upcoming new release, Centralia. Where did you get the idea for Centralia? Mike: I read about this town called Centralia in Pennsylvania. It’s about three hours from my home. It was a coal mining town and back in the sixties one of the coal veins ignited. It’s been burning ever since and could continue burning for the next 200 years. The government has spent millions trying to extinguish the fire and finally gave up and evacuated the town. The last holdout residents left just a couple years ago. The ground is cracked in places and spews sulfuric gases. Roads are cracked and split. The town is literally falling apart. Many of the buildings have been razed by a few still stand. The government re-routed the main highway around the town and is pretty much letting nature reclaim it. I thought, what a great setting for a story. I usually begin my story ideas with a character but this one started with a setting. Me: Did you have to study a lot of fight scenes with and without weapons in order to accurately portray the fight scenes in Centralia? Mike: I love action and military movies and drew much from them for the choreography of the fight scenes. And research, research, research. Me: You included quite a few interesting minor characters in Centralia, some of whom you gave quite a bit of detail about. One of them was named Ronnie and I was really intrigued by him. Is there any chance you may include him as a main character in another book? Mike: No. My secondary characters are just that, secondary. I like to give them more detail, though, because “a person’s a person no matter how small.” They’re people, too, with lives and stories to tell. In my stories, everyone’s important. Me: There’s been a rumor that there may be a sequel? Would you care to comment on that? Centralia is available for preorder at Amazon.com. Order your copy today! Wow, what a detailed interview. Congratulations, Kelly and Mike. Great stuff.